Prof. Gavin Finnie is Professor of Information Systems and Deputy Dean of the School of Information Technology, Bond University, Australia. He was previously Professor and Head of Department of Computer Science and Information Systems at the University of Natal, Pietermaritzburg, South Africa, between 1990 and 1993. Between 1994 and 1998, he was Associate Dean (Academic), School of Information Technology, Bond University. Prof. Finnie has extensive teaching experience in both Computer Science and Information Systems, and obtains consistently good evaluations on teaching. He was awarded the Bond University Students Council Presidents Award for Teaching Excellence in 2002. This is "to the lecturer/tutor who displays the most outstanding performance in the previous semester. Students nominate their teachers based on their dedication, teaching style, approachability, and going above and beyond the call of duty to assist their students". Prof. Finnie has published extensively on different journals and conferences. His current research interests are primarily in the area of AI/expert system applications in information systems, Electronic Commerce, Knowledge-Based Systems, Knowledge-Based Software Engineering, Intelligent Decision Support Systems. The main work at present is in applications of Artificial Intelligence and Case Based reasoning in software development effort estimation and electronic bargaining. Dr. Michel Barbeau is a full Professor and the Associate Director, School of Computer Science, Carleton University. He has got his B.Sc. Computer Science from Universite de Sherbrooke (1985), M.Sc. Computer Science from Universite de Montreal (1987) and Ph.D. Computer Science from Universite de Montreal (1991). He had been a Professor at Universite de Sherbrooke (1991-1999) and a visiting researcher at Aizu University, Japan (1998-1999) and Alcatel Canada (2004-2005). He can be described best as a software expert with specific expertise in telecommunications protocols (link, network, transport), mobile and wireless networks, satellite telecommunications, object-oriented design and programming, distributed objects and operating systems. His academic honours include: Research Achievement Award, Carleton University, 2005; Governor Generals Academic Gold Medal, Universite de Montreal, 1991. He has published about 40 research papers in referred journals and conferences, and he is the owner of two patents. Prof. B. D. Aggarwala is Professor Emeritus, Department of Mathematics and Statistics, University of Calgary. He has taught Mathematics at McGill University in Montreal, and then at the University of Calgary, Calgary, Canada since 1960. He served for two years as the Chairman of the Division of Applied Mathematics here at the University of Calgary and as chairman, I designed both the undergraduate and the graduate curriculum in Applied Mathematics. Numerical solutions of Ordinary and Partial Differential Equations being one of my areas of expertise, I have considerable experience with the Mathematical Software called 'Mathematica'. He has published more than seventy research papers in the area of Applied Mathematics and Engineering. Currently his interests are in mathematical modeling for HIV/AIDS epidemiology. Dr. Chakib Chraibi obtained a Ph.D. in Applied Mathematics from the University of Bordeaux (France) and a Ph.D. in Computer Science from Binghamton University (New York). He is currently a Full Professor at Barry University in Miami, Florida and the Faculty Representative to the Information Technology Advisory Council. He brings significant experience in industry to academia from his work at Honeywell Bull and through industry funded grants. His research interests are real-time computer systems and computer networks, Internet and web programming, programming languages, operating Systems, object-oriented design and software engineering, computer simulation and performance. Dr. Chraibi has received several awards, including the Distinguished Dissertation Award in the category of Mathematics, Sciences, and Engineering and the Graduate Award for Excellence in Research. He has also been included in the Who's Who Among Teachers in America (1998, 2000 and 2005 editions). Dr. Padmanabhan Krishnan is Professor of Computer Science at the Faculty of Information Technology, Bond University. He has been Associate Dean (Research and Development) at the School of Information Technology, Bond University (2002-2003). He has got his B.Tech from IIT Kanpur, MS from U. Michigan, Ann Arbor, and PhD from U. Michigan, Ann Arbor. He has held various positions at University of Canterbury (Christchurch New Zealand), Siemens Research (Munich, Germany), Aarhus University (Aarhus, Denmark) and Texas A&M University (College Station, USA). He has won several awards including Best Researcher in the IT Faculty, 2004, and Best Paper (Honorary Mention) at the Australian Software Engineering Conference, 2004. His research interests include Software Assurance Software Engineering (Formal methods, Specification, Verification and Testing), Verification of Security Protocols, Real-Time systems, and Models for concurrent systems. Prof. Jeong-A Lee is presently a Professor of Department of Computer Engineering, since joining Chosun University in 1995. Prof. Lee received the B.S. in Computer Engineering with honors from Seoul National University in 1982, M.S. in Computer Science from Indiana University, Bloomington in 1985 and Ph.D. in Computer Science from University of California, Los Angeles in 1990. From 1990 to 1995, she was an assistant professor at the Department of Electrical and Computer Engineering, University of Houston. Her research interests include computer architecture, fast digital and CORDIC arithmetic, application specific architectures design and configurable computing. She is the author of more than 100 technical papers, was a guest editor of a special issue on CORDIC, Journal of VLSI Signal Processing Systems for Signal, Image, and Video Technology in 2000, and has been working as a programming committee member for several international conferences and a senior member of IEEE. Prof. Kazumi Nakamatsu is a professor of computer science at School of Human Science and Environment, University of Hyogo, Japan. He earned his Doctoral degree of Science from Kyushu University, Japan. He published 8 books and over 80 papers. He was invited by several organizations to make lectures, to hold a session at international conferences, and as an editorial committee member or reviewer (International Journal of Hybrid Intelligent Information Systems and others). He won the Best Paper Award at the international conference CASYS2000 which was held in Belgium. His current academic interest is mainly application of a paraconsistent annotated logic program called EVALP (Extended Vector Annotated Logic Program) that was developed by himself. He has already developed some intelligent control methods based on EVALP for traffic signal system, railway interlocking, discrete event system, and so on. Prof. Tai-Chi Lee has been on the faculty at Saginaw Valley State University since 1988. He is currently a Professor of Computer Science, Department of Computer Science and Information Systems. He received a BS in Mathematics from National Taiwan Normal University, Taipei, Taiwan, in 1965, a MS in Electrical Engineering and Computer Science from University of Illinois at Chicago in 1986, and a Ph.D. in Applied Mathematics from University of Utah in 1975. His research interests include computer architectures, database systems design, image compression, and cryptography & network security. Dr. Tony White is an Associate Professor in the School of Computer Science, Carleton University. He received B.A. and M.A. degrees in Theoretical Physics from Cambridge University (1978, 1981), followed by M.C.S. and Ph.D. degrees from Carleton University in Computer Science (1993) and Electrical Engineering (2000) respectively. Prior to Carleton University, Tony worked with Nortel Networks on agent-based solutions to network management problems. His research interests include Software Agents, Evolutionary Computation, Swarm Intelligence and Autonomic Computing. He has published in excess of 60 papers and has 7 patents granted with several others pending. He is also the Chief Technology Officer for Symbium Corporation, a leading company in Autonomic Computing. He has also served as a member of the advisory boards of two companies in the area of policy-based computing. Dr. Rajgopal Kannan is currently an Assistant Professor in the Computer Science department at Louisiana State University. He obtained his B.Tech in Computer Science and Engineering from IIT-Bombay in 1991 and the Ph.D in Computer Science from the University of Denver in 1996. His areas of interest are in algorithmic aspects of wireless sensor networks, game and information theory, data security, interconnection networks, optical networks, routing and multicasting protocols, distributed systems and algorithms. He has published extensively in top tier journals and conferences and his papers have won several best-paper awards. He is on the technical program committee and organizer/co-organizer of several conferences. His research work has been funded by agencies such as NSF, DARPA, AFRL and DOE. Dr. Andrija Maricic has been a Senior Lecturer in the School of Information Technology, Monash University �V Sunway campus Malaysia since July 2001. After graduation (November 1969) he worked for 7 years as an engineer and researcher at the Electrotechnical Institute in "Rade Koncar" Company ("ETI RK" in the sequel) in Zagreb, capital of Croatia. He was involved in the modelling and simulation of dynamic processes (on the analog, hybrid and digital computers), in the development of software for data acquisition (small nuclear plant) and in the development of a real-time operating system (application of the DEC's PDP-11/40 computer in gas industry). During his professional career, he has produced 86 papers which have been prepared for conferences, project documentation and publication in scientific journals. Dr. Maricic's biographical information was listed on the page 236 in the second edition of the "International Directory of Experts Specialized in Informatics", published in France (in 1994) by UNESCO (7 place de Fontenoy, 75352 Paris 07 SP). And his biographical data were also included in the 16th edition (for 1999, page 1025), 17th, 18th, 19th, 20th, 21st and 22nd edition of Marquis publication "Who's Who in the World". 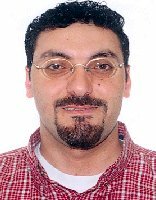 Dr. Qusay H. Mahmoud is an Assistant Professor in the Department of Computing and Information Science at the University of Guelph (Canada), and Associate Chair of the Distributed Computing and Wireless Telecom program at the University of Guelph-Humber. He received his Ph.D. in Computer Science from Middlesex University in London, England, for his work on Mobile Agents for Wired and Wireless Computing. In the past, he has worked for Simon Fraser University, Carleton University, and Newbridge Networks (now Alcatel). His research interests include agent technology, wireless computing, web services, and software engineering. Dr. Mahmoud has presented tutorials on developing wireless and enterprise applications at a number of international conferences worldwide. He is the author of "Distributed Programming with Java" and "Learning Wireless Java" and the editor of the book "Middleware for Communications". Dr. Fidel Cacheda Seijo has been assistant professor at the University of A Coruna in the Department of Information and Communication Technologies since October 1998. In February 2003 to July 2003, he is visiting professor at the University of Glasgow with the Information Retrieval group. He has got his honours degree of Computer Science in the University of A Coruna (Spain). And his Ph. D. degree was in Computer Science, with thesis titled "Web Directory Advanced Data Architecture, with Optimisation of Restricted Searches to an Area of the Category Graph". His research areas of interest are information retrieval on the web, data structures and algorithms for IR, and retrieval evaluation for web search engines. He has published about 30 research papers. Dr. Soheil Ghiasi is an assistant professor at University of California, Davis, CA Department of Electrical and Computer Engineering. He has obtained his PhD degree from University of California at Los Angeles (UCLA) in computer science. His research interests are Embedded Systems: Embedded System Design techniques; Application-Specific Programmable Processors and Modules, IP-based system design, embedded software, compilation, CAD and Design Automation; and Reconfigurable Computing: Dynamic/Partial Hardware Reconfiguration, Applications, Design Techniques for Reconfigurable Fabrics and platforms with heterogeneous computational resources. He has obtained awards like the Harry M. Showman Prize, Henry Samueli School of Engineering and Applied Sciences (HSSEAS), UCLA. He has published about 30 referred research papers.